As consumers we always want credit unions to approve us for an auto loan, these types of lenders offer some of the best finance options. People who are looking for a specialist to provide them with vehicle loan opportunities for bad credit scores usually use these types of lenders. With close to 8,000 established credit unions people can easily find one that is close to their home, and begin the loan process by simply signing up as a member. 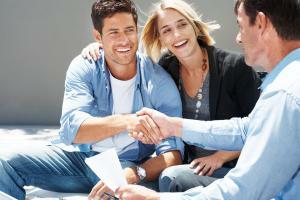 The best part is that credit unions make acquiring a loan fast and simple as well. Locally Oriented: Since most credit unions are not extremely large corporations they tend to be more involved with their set community, which allows for healthier relationships with members and vehicle loan borrowers. It also means they are more likely than a bank or other lenders to qualify you for financing and work with your payment schedule. Avaiable Lending Funds: Despite some of the economic woes that have been endured by a select number of banks, most credit unions have be unscaved. This makes it much easier for you to qualify for bad credit auto financing at a credit union, and for most car dealers that accept below average credit loans to stay in their good graces. Highly Competitve Rates: Most people may think that because credit unions are locally based that they can't compete with the rates from highly acclaimed lenders, but that is not true. Even these community based poor credit lending companies are capable of providing some great interest rates and loans that can reach 70 months. Now for most people the few perks listed above would be enough to convince them to apply for financing with these sub-prime auto financing companies, but if it doesn't there are still a few other advantages that may change you mind. This includes the ability to gain easy membership by simply establishing a savings and/or checking account, an added bonus in being able to apply for a loan by phone or online, as well as additional incentives on loans that only members can take advantage of. So the next time you need help with obtaining the best finance opportunities with less than perfect credit you may want to look into the various incentives your local credit union have in place. You very well maybe able to get the rates you are looking for while also being able to enjoy a loan process that connects you with people who care about helping you finance a car today. Here at AutoNet Financial we help provide useful information about auto financing, credit repair, and even how vehicle repossession affects the car loan process. We work with local car dealerships and in house financing dealers to find the best auto loans that accept people with problem credit.